Access Hollywood is reporting that Garry Marshall has died, at the age of 81. A big-voiced showman with a thick, hearty Bronx accent, Marshall helped invent the modern sitcom with shows like Happy Days and Laverne & Shirley, and launched the careers of some of the most popular stars of the 20th and 21st centuries. His tenure in Hollywood spanned nearly 60 years, stretching from writing jokes for the Jack Parr version of The Tonight Show, all the way to recent performances on BoJack Horseman and Brooklyn Nine-Nine. Although his directorial output grew less focused—if still lucrative—in later years, Marshall continued to work actively as a writer and actor, giving spirited performances in everything from Pinky & The Brain—where he played a Faustian figure tempting the titular mouse into even further acts of evil—to his sister Penny’s own A League Of Their Own. (His thick accent and boundless enthusiasm also inspired an affectionate and long-lasting impression from comedian and actor Paul F. Tompkins.) His final screen performance was on the recent reboot of The Odd Couple, where he played the father of Matthew Perry’s Oscar Madison, in a tribute to his long legacy with the Neil Simon play. 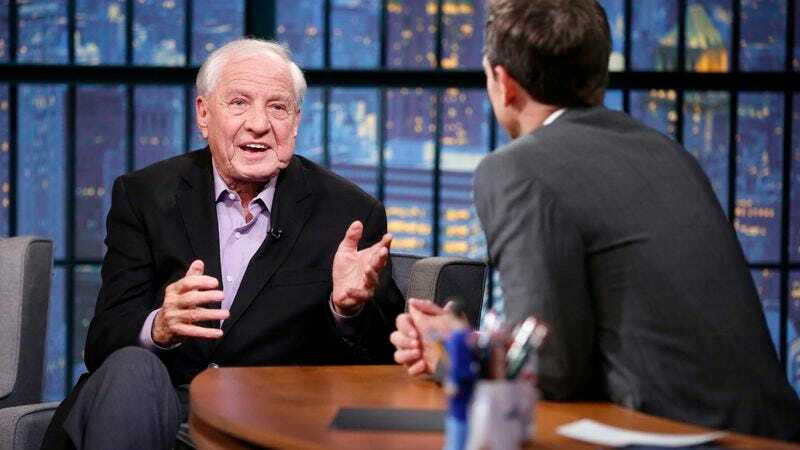 It would be impossible to overstate Garry Marshall’s importance to the pop culture landscape of the 20th century, or reduce it to a listing of shows or roles. In many ways, his work defined that landscape, shaping the very vocabulary we use to discuss it. After all, there’d be no “jumping the shark” without Fonzie, and no Fonzie without Marshall, and his famous efforts to keep the leather jacket on Henry Winkler’s back. Winkler, meanwhile, was one of several celebrities—including Robin Williams’ daughter, Zelda—who took to social media tonight to pay tribute to Marshall’s life, and to his work as one of the greatest king- and queenmakers in all of Hollywood history. A publicist for Marshall’s family confirmed his death earlier tonight.